SUDDEN DEATH OF MR. J. L.BIRLEY. The death of Mr. John Leyland Birley, which occurred at his residence, Millbanke, Kirkham, on Sunday morning, was a painful shock to his many friends in the neighbourhood. The deceased gentleman has been suffering from an internal malady for several years ,the end was painfully sudden, for he was walking about his grounds on Saturday morning. About six years ago he underwent a successful operation for the same complaint at his house in Hastings Place, and probably did not look on the repetition seriously. The operation took place on Saturday morning, but he died early on Sunday, at the age of 49. The deceased was a most interesting gentleman. He belonged to a family whose forefathers had been identified with the industrial life of Kirkham for the past century, and who have shared largely in the local and county administration. He was educated at Uppingham public school, and afterwards at Queen's College, Oxford. At the latter place he was a good average scholar, and distinctly above the average as an athlete, winning several valuable cups for long distance running. He came into possession of Millbanke at the death of his mother about 1889, and then established a residence at Hastings Place, Lytham, He has travelled widely, having been round the world three times, paid extended visits to all the countries in the world except the colder regions. Many interesting lectures have been given in Kirkham dealing with his travels. He took a very small part in public life, though at one time he was a member of the Kirkham Council and the Fylde Board of Guardians, being also chairman of the Wesham Parish Council from its formation till his death. THE LATE MR. BIRLEY ON HIS MINIATURE RAILWAY. and membership of many local societies, his heart was in his workshop, and in the midst of his many hobbies, it is no wonder that he was something of a recluse. Despite this fact, however, he took the greatest pleasure in giving joy to others, and many a party of private school boys and girls from Lytham have spent a happy half holiday on his railway, lake, and tennis courts. Another of Mr. Birley's hobbies was "ships," of which he had a very large and varied collection of models and photographs, from Noah's Ark downwards almost. There was hardly a ship of any importance about which he could not give a full history. He had also a large collection of model steam engines, and had a passion for photography, having hundreds of albums. Latterly he added rose culture to his many pursuits, and had at the time of his demise about 2,000 rose plants of many varieties. He had also two motor cars, one of which he made himself. He was a member of the Yacht Club. He had at heart the progress of musical matters, and was an active member of the Lytham Orchestral Society. A regular worshipper at St. Cuthbert's Church, his last visit was paid just a fortnight before his death, and his last visit to Lytham was a week since last Tuesday. He will be much missed by the Lytham station staff, by whom he was greatly esteemed. They often received hares and rabbits from him in the shooting season. In former days, when the railway regulations were not so strict as now, he would often make the journey from Lytham to Kirkham on the engine rather than in the carriages. The remains of the late Mr. John Leyland Birley were Impressively laid to rest in St. Cuthbert's Churchyard on Thursday upon. The fully choral service was conducted by Rev. Canon Hawkins, and Rev. W. T. Milton (Kirkham), assisted by Revs. F. Tile and J. F. Thorpe. As the cortege entered the church, Mr. S. H. Broughton, Mus. Bac. (Oxon. ), played " O rest in the Lord,"
" Dead March " (Saul) as it left. The coffin, which was of plain oak, bore the inscription "John Leyland Birley, died March 11th, 1906, aged 49." The hymn " On the resurrection morn," was sung in church, and " Peace, perfect peace" at the graveside. The principal mourners were : —Mr. Horace Mellor, Mr. Eric Mellor, Mr. Philip Mellor (Isle of Man), Mr. EL M. Birley (Ribbleton), Mr. F. W. Peel (Manchester), Mr., S. Gask (Lytham), Rev. P. G. Harris (Oswaldtwistle), Mr. J. F, Birley, Mr. C. EL Atkinson (Single. ton), Captain H. Nickson, Mr. Nickson, Dr. J. C. Fisher, Major P E. P. Crawford, Dr, A. Eason, Mr. R. S. Jewison, Dr. J. S. Slater, Mr. A. D. Chambres (Chester), Mr. Arthur Hassall (Oxford), Mr. Alfred Hassall (Bebbington), Mr. Jas. Parsons (London), Mr. R. Cookson, Mr. J. Needham (St. Annes), Mr. R. M. Ballantyne (Manchester), Rev. R. M. W. Holme (Weeton), Mr, A. W. Carrington, J.P., Mr. A. S. Poole, Mr. G. B. Bellamy, Mr. L. Rosewarne (representing Lytham Hockey Club), Mr. J. Bennett, Mr. T. H. Brewer, and Mr. W. Edmondson (representing the managers of the Wesham day schools), Mr. Geo. Tootell, F.R.C.O. (representing the Lytham Orchestral Society), Messrs. J. Willacy, W. Edmondson, Jos. Ainsworth, J. Sanderson, and J. Hall, clerk (representing the Wesham Parish Council) ; Mr. R. H. Bowdler (representing the Kirkham Council); Mr. Addison Birley, Mr. Hutton Birley, Mr. P. L. Birley, Mr.W. J. Dickson, Dr. Wiggles-worth (Kirkham), Mr. Wilson (Preston), Rev. J. W. Barker (Wrea Green), Rev. T. C. Walton (headmaster of Kirkham Grammar School), Mr. H. Langdon Birley, Inspector Scott, Sergt. Warwick, and the following tenant farmers: Messrs. Sanderson, L. Kirby, Wade, E. Kirby, R. Swarbrick, J. Downham, Balshaw, and Royles, besides all his servants. 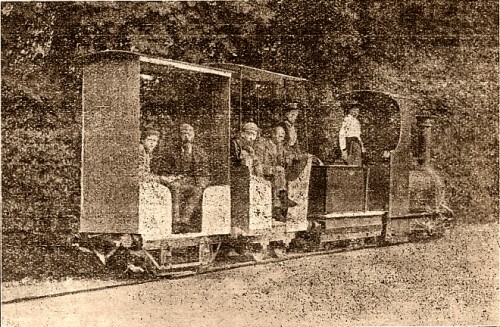 Private carriages were sent by Mr. Tom Miller, Singleton Park ; Mr. Addison Birley, Mrs, Birley, Scarside. Floral tributes were sent by the following Phillip and Eric (nephews), Mr. Horace Mellor, Mrs. Horace Mellor, Messrs. Luke and R. Kirby, Mrs. G. Carr and Misses Audley and Crummack, Mrs. H. Birley, Mr. and Mrs. F. H. Mellor, Rev. W. T. and Mrs. Mitten, Mrs. Bindloss, Mr. and Mrs. E. W. Mellor, Mrs. and Miss Myers, Misses Mendee, Edie, Gertie and Hilda Bellamy, Mr. and Mrs. G. R. Bellamy, Mr. J. M. Jackson, Mrs. Wyndham Hale, Mrs. and Miss Hayes, Mr. and Mrs. P. Birley, Mr,. Chas, Blagdon, Mr. and Mrs. H. Outran, Mr. and Mrs. Jewison, and family, Mr. and Mrs. Braddell and family, Mr. and Mrs. Hassall, Mr. and Mrs. W. A. Leigh, Mrs. Hutton Birley, Misses Ada and Helen Birley, Mr. and Mrs. W. Peel, Mr, and Mrs. Needham, Mr. and Mrs. Parsons, Mr. E. Calvert, Mr. and Mrs. Addison Birley, Dr. Wiggles worth, Mr.F. Aspden, Mrs. Ratcliffe and family, Mrs. and Miss Edleston, Mr. and Mrs. Carrington and family, the Lytham Hockey Club, and the Lytham Orchestral Society. Messrs. E. Wilson & Son, Lytham, carried out the entire funeral arrangements with becoming dignity.